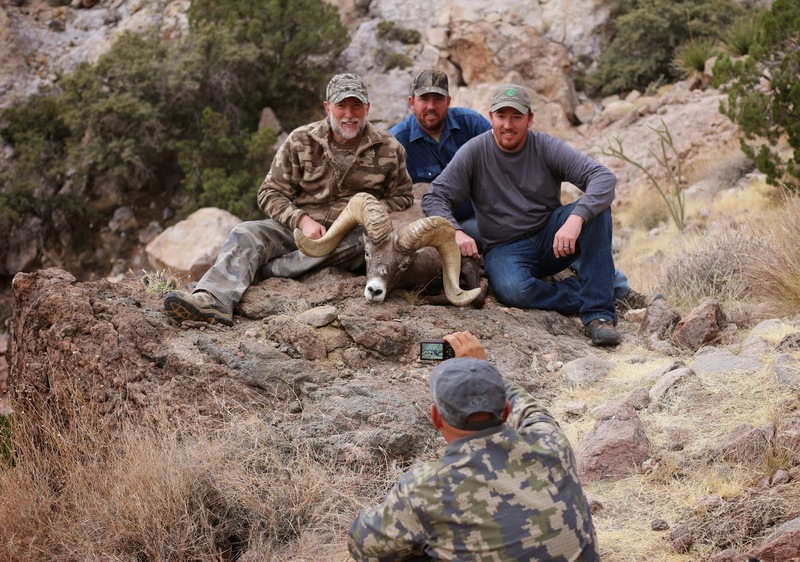 We had an unbelievable time with Bob O'Connor and his family on his hunt in Arizona Unit 15D North. 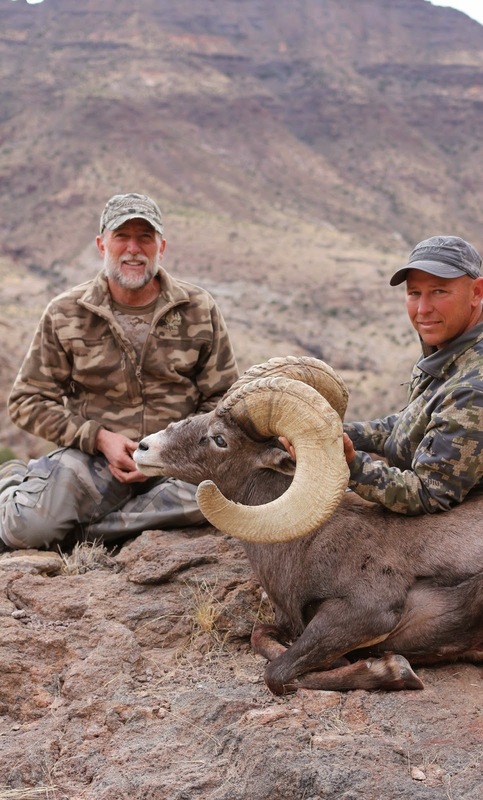 Bob harvested a spectacular ram with a 39 1/8 inch long horn and 15 inch bases. The tip to tip spread on Bob's Nelsoni ram is nearly 31 inches! Bob was joined on his hunt by his wife Becky and two sons Ben and Chris. Darr Colburn found a great ram in his scouting that he nicknamed "Marco". Bob harvested the ram on the first day of the hunt.